[S3747] Brian Hill, "re: Seton Family," e-mail message to Darryl Roger Lundy, 11 May 2009. Hereinafter cited as "re: Seton Family." 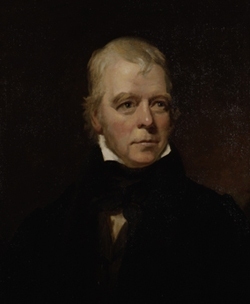 Sir Walter Scott, 1st Bt. was born in 1771. He was the son of Walter Scott and Anne Rutherford.3 He married Margaret Charlotte Charpentier, daughter of Jean François Charpentier and Elie Marguerite Volere, in 1797.3 He died in 1832. [S8573] Mike Hurman, "re: Fergusson Family," e-mail message to Darryl Roger LUNDY (101053), 4 July 2018. Hereinafter cited as "re: Fergusson Family." Edward Henry Fisher-Rowe was born on 18 December 1913. She is the daughter of Seymour Fisher-Rowe and Olive Frances Rushton. Her married name became Ward.